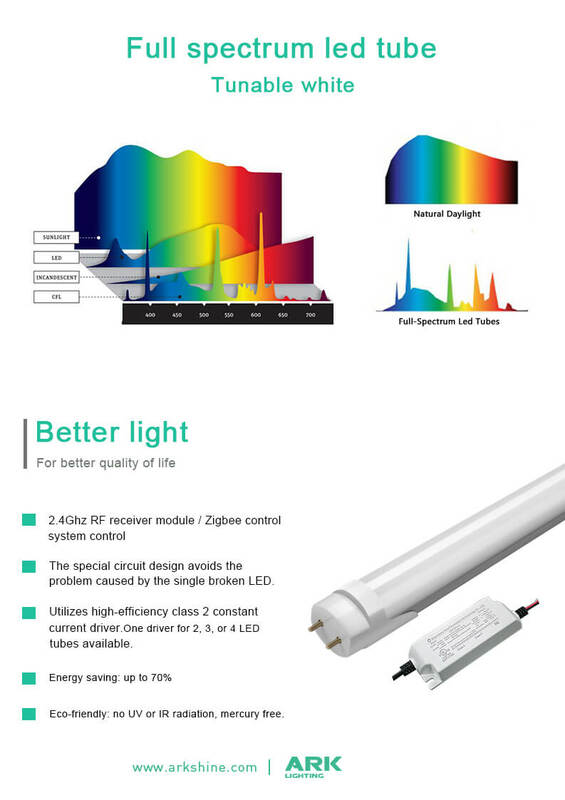 CRI>97, full-spectrum tube smart light, restore the sun lighting effects. The special circuit design avoids the problem caused by the single broken LED. Utilizes high-efficiency class 2 constant current driver. Energy saving: up to 70%. Eco-friendly: no UV or IR radiation, mercury free.